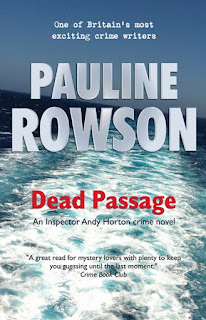 DEAD PASSAGE is number fourteen in the DI Andy Horton series of crime novels and like the others in the series it is set on Horton’s CID patch, Portsmouth and the Isle of Wight. 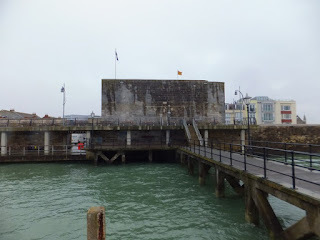 As many of my readers know it is locations that often inspire me and one of the locations, Rat Island in Portsmouth, is featured in an earlier blog. 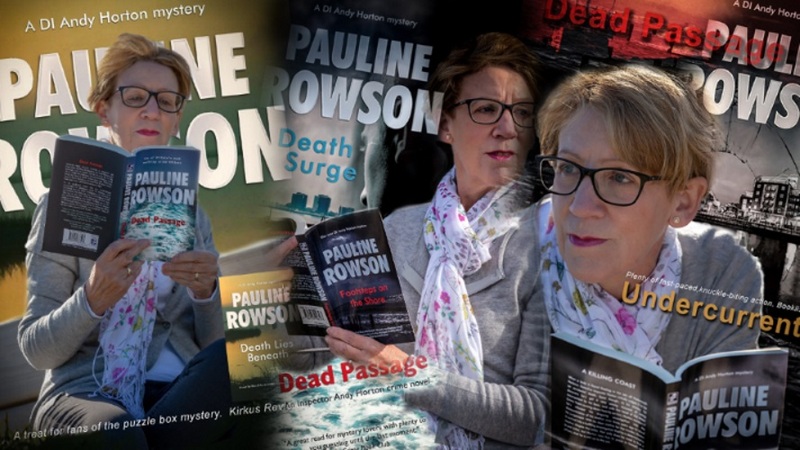 Here's another location that tickled the little grey cells and is the focus of DI Andy Horton's investigation into the mysterious death of a local politician twelve years ago. 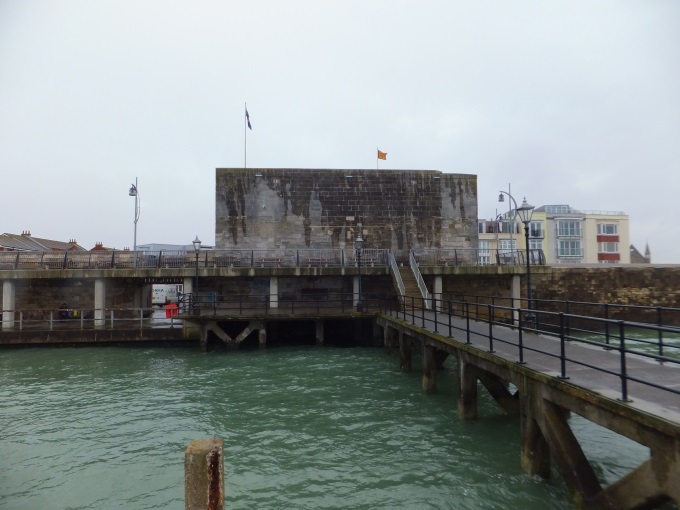 One of the locations that inspired me for the Inspector Andy Horton crime novel, DEAD PASSAGE, number 14 in the series, is a very interesting and ancient monument in the vibrant waterside city of Portsmouth (England) where the DI Andy Horton crime novels are set. 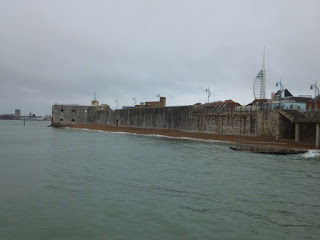 In previous Horton novels I have featured the ancient fortifications of Portsmouth which were erected by Henry VII and Henry VIII to protect the city from the marauding French. They were never called upon to do so although one of them was utilized during World War II more about that in a later blog. 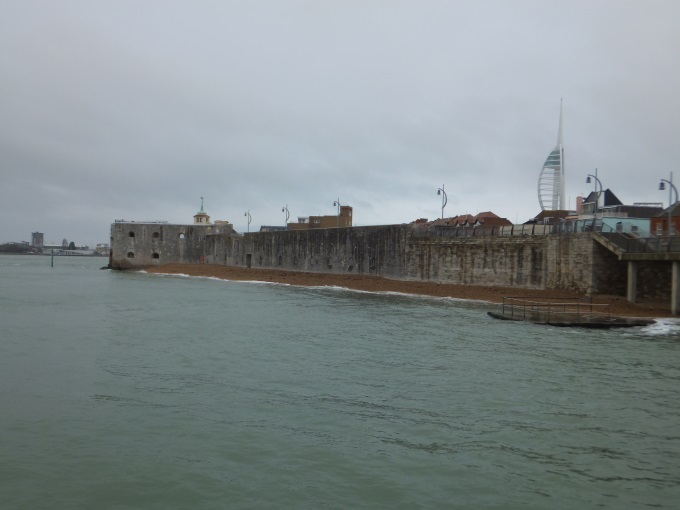 One very interesting area full of historic significance is the Spur Redoubt listed as an Ancient Monument it is the only surviving extant length of the ramparts and moat which enclosed Portsmouth. 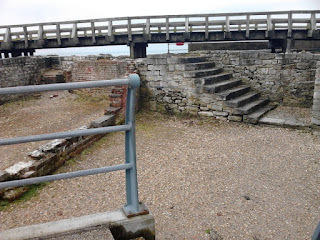 The tunnel through the ramparts is also the route Lord Admiral Horatio Nelson took on his way to board HMS Victory for the Battle of Trafalgar on 14th September 1805. 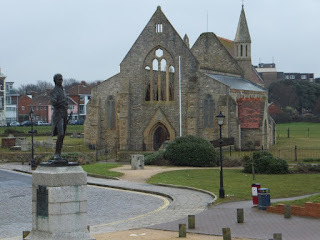 Horton headed through the deserted funfair, spying a police car on the far side of the car park close to Spur Redoubt, an ancient ruined fort, built, he seemed to recall, in the seventeenth century. 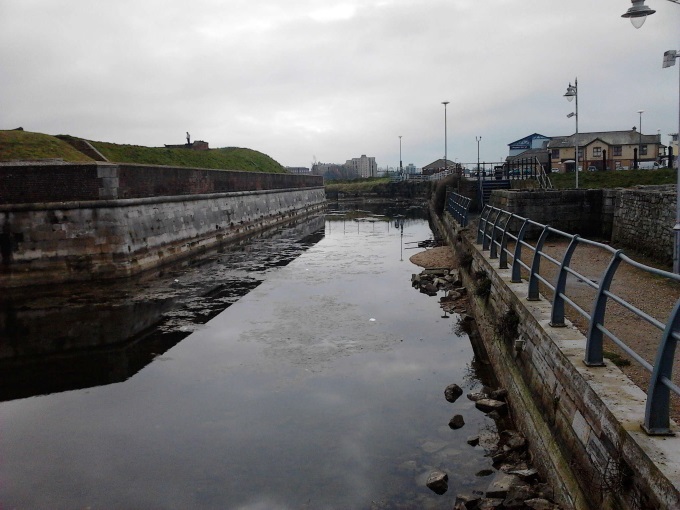 It was separated from the land to the north by Long Curtain Moat and a grassy bank. 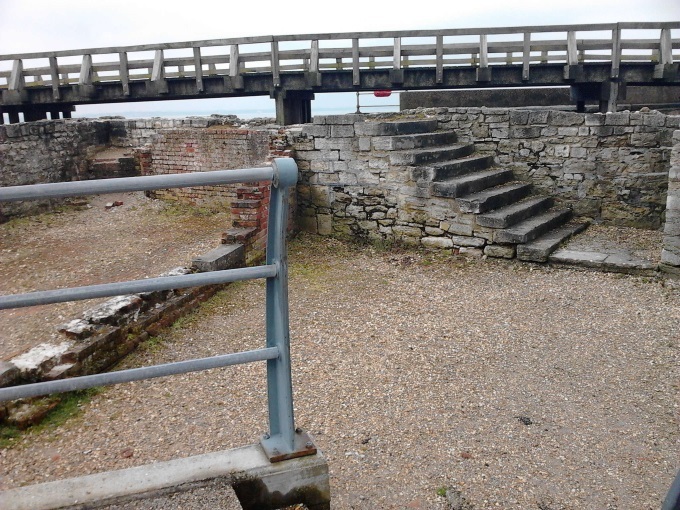 A small wooden bridge that stretched over the moat from the promenade and the ruins led into a tunnel under the grass bank. PC Johnson was talking to a woman in her late thirties dressed in running gear. They were standing close to what remained of the ruined walls, while in front of them standing in the ruins was PC Allen who was on his radio. Allen looked up, saw Horton and hurried towards him. No, I'm not saying more otherwise it will be a real spoiler alert! Here are some further pictures of the locations around the Spur Redoubt featured in DI Andy Horton mystery DEAD PASSAGE. This is the statue of Admiral Lord Nelson and the Garrison Church which is situated just behind the Spur Redoubt. DEAD PASSAGE is available in paperback, an ebook and on Amazon Kindle.